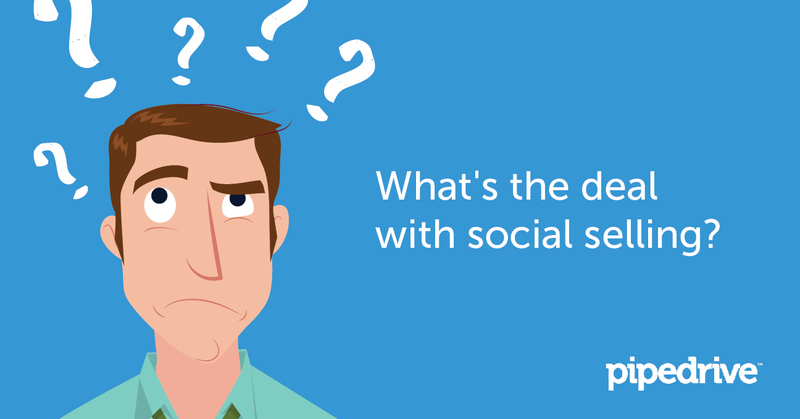 One of the hottest topics in sales today is undoubtedly social selling. “There is a lot of hype on the idea that we can integrate social media into selling,” said Marc Wayshak, “America’s Sales Strategist” and the best-selling author of Game Plan Selling and Breaking All Barriers. People don’t buy from companies. Even in B2B, people buy from people. Spend enough time socializing with the right crowd, and prospects will think of you when they need your type of product or service. With the rise of social media, it’s become easier than ever to connect with your target audience and convert it. According to Deb Calvert, founder of People First Productivity Solutions, that’s what one of her clients, a new sales representative in the online advertising industry, thought. But things didn’t go as smoothly as expected. The salesperson then decided to try social selling. She sent private messages with sales pitches to prospects on Twitter, Facebook and LinkedIn, and didn’t get any results. “She got a couple of angry messages back,” Calvert said. So she decided to produce content – content that was basically a sales pitch. “She made the mistake to post it on LinkedIn groups,” Calvert said. You can guess how that turned out. Is social selling just smoke and mirrors? Wayshak agreed. “There are very few activities using social media that directly influence sales,” he said. Once you understand that social selling is just another tool, you realize that strategies haven’t changed, just the platforms. Therefore, you can learn to use social selling to your advantage by sharpening the sales skills you already have. Don’t assume that just because most people are on social media, your particular prospects are there as well, let alone that they’re willing to engage with potential vendors. “That’s a big ‘if,’” Wayshak said. Assuming they are, understand that not all decision makers can be found on all platforms – just as you wouldn’t expect to find them at every single conference. For example, “not a lot of high level B2B buyers are goofing around Facebook all the time, but they might be on LinkedIn or Twitter,” Wayshak said. Just as you wouldn’t waste your time or money going to every single conference, be selective on where you spend your social media time and dime. Qualifying prospects, gathering updated information and understanding prospect needs have been critical components of winning the sale since the beginning of time. Social media didn’t invent that – it simply made it easier. “A client of mine that sells promotional products (like customized T-shirts) has a relatively small sales organization – maybe seven salespeople – and sales were totally flat for two years. They hadn’t improved. One of their challenges was using databases with information that was 50-75% outdated and incorrect,” Wayshak said. With Wayshak’s help, the salespeople started using LinkedIn to find much more current information. Calvert advised her client to do the same. “I said, ‘Let’s do the research and see how we can get to know someone by stocking them on social media.’ It sounds creepy, but once you know someone, you know what they need,” Calvert said. Calvert’s client wanted to go all in. She wanted to engage with a million prospects, “but I said, ‘Let’s do five – quality over quantity,’” Calvert said. After all, you wouldn’t try to build relationships with a million people offline. There’s no way you could fully focus on prospect needs with each one. Calvert recommended using your chosen social media platform to “establish a connection, boost your credibility and familiarity, build social proof and build trust.” That meant her client’s old strategy of posting sales pitches all over the Internet had to go. “Any time you take from a buyer must have value for the buyer, so it’s not about putting junk out there,” Calvert said. Think of Twitter conversations, LinkedIn InMail threads and Facebook group discussions as launch meetings with prospects. Similarly, think of blog posts and webinars as conference presentations. Would prospects benefit from them? If not, why would they dedicate time to your content just because it’s online? “It gets forgotten because social media is cheap and easy,” Calvert said. Her client took her advice. After being unable to land even one phone call, the client got a warm referral. “Within a couple of weeks, she had a face-to-face appointment,” Calvert said. Then she got another one, leading to a 40% social-to-meeting conversion rate – an impressive leap from 0%. At the end of the day, social selling involves sales activities that need to be measured and analyzed for effectiveness – just like any other sales activity – if you want to manage your sales team with realistic expectations. Some social activities are easier to measure than others. For example, Wayshak recommended tracking the effectiveness of sales messages you send via LinkedIn. Is social selling worth your effort? As you can see from the story of Calvert’s client, social selling can lead to sales appointments when you show up as a human being intent on delivering value and understanding a prospect’s needs. It’s not that different from age-old sales strategies. But with sales experts testifying to the rarity of a direct connection between social selling and your bottom line, is social selling really worth the effort or is it just another ineffective sales technique? To answer that, you’ve got to assess this sales tool’s potential impact on your specific situation. In the sales team Wayshak trained, each salesperson used LinkedIn as a database to identify 50 opportunities based on company geography and employee size, instead of the outdated database they used before. This wouldn’t have happened had the salespeople not gathered accurate information on LinkedIn, but it also wouldn’t have happened had the salespeople used LinkedIn alone. Therefore, Wayshak recommended using social selling only as part of a bigger sales strategy.